We would like to be part of your journey on the way to becoming flight attendant or steward. As one of the most respected cabin crew training schools in the world, we can help you make your dreams come true! Prepare for an exciting career and travel the world, while being trained at the world’s most awarded school INFOHAS. Knowledge of the cabin crew career is our best advice! All successful and exciting trips start with a plan! We encourage everyone to make sure they have the knowledge they need and that is what our expertise provides. The courses in our programs have been specifically designed to provide first-class knowledge to those who wish to enter the world of aviation. We also encourage our students to contact airlines and find out who is hiring and what their hiring criteria are. Many factors play a role in the fact that you become a flight attendant. In addition to personality as well as ability and experience in customer service, knowledge is essential to your success. The Infohas Institute programs are designed to give you that knowledge. Unique, high quality, easy-to-follow training manuals and hundreds of interesting multimedia files to enhance your knowledge and learning experience. Infohas Institute offers the first and most comprehensive accredited training program of flight attendants that is fully approved for use by airlines! Become a flight attendant at our training school and follow your dreams! The INFOHAS Institute has developed programs that meet the regulatory standards set by ICAO – one of the world’s toughest aviation regulators. The member airlines at our skills center gain a great advantage by selecting pre-qualified candidates from the Institute. This greatly improves the quality of their candidates while reducing their time in classroom training which saves them time and money. All airlines have different criteria for hiring. The Infohas Institute “On-line Registration Form” and the on-site pre-registration test will tell you if you have any limitations that could prevent you from being hired by an airline. Having qualifications to be flight attendant vary from one airline to another. For example, age restrictions vary among airlines and countries of origin. We had students aged 17 to 30 years successfully. The Training Institute of Flight Attendants in Rabat Morocco INFOHAS, was founded to help people interested in becoming flight attendants (Air hostess and steward) and to prepare them to fly! We know the importance of having a competitive advantage in the world of aviation is very difficult, our accredited completion and success degree can give you that advantage. Many airlines receive thousands of flight attendant requests per month. Make sure you stand out with an accredited Diploma from the Infohas Institute! The airlines that are members at our skill center require that all students have an accredited air hostess or steward training degree. 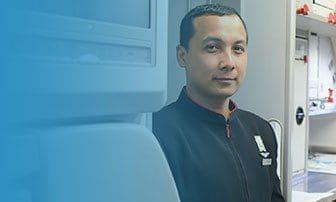 If you are serious about becoming a flight attendant, you can increase your chances of success with an accredited degree from the Infohas Institute. Many airlines are looking for a maturity and a life experience in their candidates. Your experience, accompanied by a diploma from the Infohas Institute, could be your ticket to fly and do what you have always dreamed of.